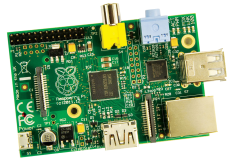 Want to know more about the Raspberry Pi and how single-board computer technology is used? In this webinar, embedded system and computer enthusiast Gough Lui will introduce you to the Raspberry Pi platform hardware, overview some of the key features and limitations, as well as explore the components and accessories you need to get started with the tiny Pi computer. This webinar is ideal for beginners and those interested in taking their Pi projects to the next level with newly released accessories. Since graduating with a BEng (Photovoltaic and Solar Energy) degree, Gough has developed a keen interest and knowledge of Raspberry Pi, electronics and embedded systems. He is currently a PhD student at the University of New South Wales, working with a laboratory program on the development and demonstration of Digital and Embedded Systems. Gough enjoys working with Arduino and Raspberry Pi, as well as blogging about all facets of technology.